Date: Oct 27 2018, 3 p.m. - 6 p.m.
Are you ready for Halloween?!!! 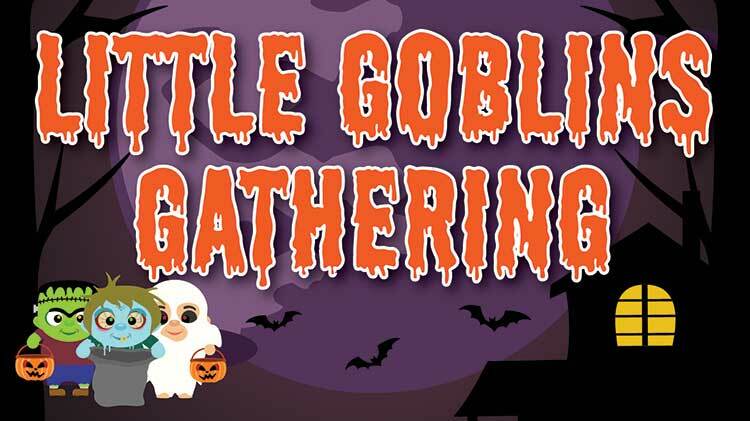 Join us for our "Little Goblins Gathering" complete with a spooky story time, a costume parade, kids games and activities, Trunk or Treat, food & drink booths, and more! The festivities begin at 3pm and will go on until 6pm. Bring your ghouls, ghosts, and goblins and have a Spooktacular time! Sign up to participate in our Trunk or Treat by visiting Torii Library or by calling 644-4495. If it rains, our event will be moved to Havana's. See you there!